The VPSU2000 is a versatile vehicle power supply unit for PC/104-Plussystems providing clean and filtered DC voltage rails to the PC/104 and PC/104-Plus Busses. The VPSU2000 accepts a DC input voltage from +8V to 30V and provides +5V, +12V, -12V to the PC/104 and PC/104-Plus Busses. The VPSU2000 includes reverse voltage input protection and transient voltage protection whilst providing stable DC voltages to the PC/104-Plus system. 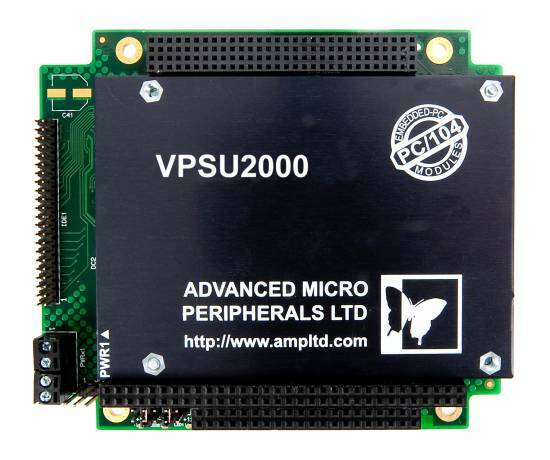 The wide input voltage range of the VPSU2000 allows PC/104-Plus systems to be powered from a wide variety of DC voltage sources including battery systems in cars, trucks and for marine and airborne applications.